Comprising of 7 caves with one of them holding the holy ‘Lingam’ of Lord Shiva, the Gufa Mandir (Cave temple) is one of the most popular temples in Bhopal. The cave that holds the Shiv Lingam is supplied by natural water that never goes dry even during scorching summers! The place is loved for its tranquil atmosphere and its generous contribution to the society. 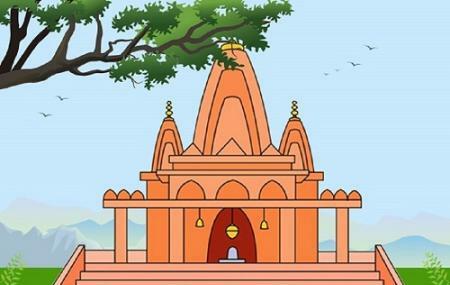 The temple has a small Sanskrit school for children, preserves and maintains Cows and provides accommodation and alms. Remove your footwear before entering the temple. How popular is Gufa Mandir? People normally club together Rani Mahal and Taj Mahal Palace while planning their visit to Gufa Mandir. Very nice place... To quite and beautiful. The view from here is amazing. Must visit.. It is very nice place . it is very spiritual temple of God shiva. It is very nice place for refreshing and change your mind about the life. It is very nice place so you want to go there. it is very spiritual and moral temple of lord Shiva. it is very oldest temple of God shiva in Bhopal.